Trustee Timothy “Tim” Jemal currently serves as Vice President of the Board of Trustees. He was re-elected to serve on the board through 2020. Mr. Jemal has been deeply involved in the south Orange County community volunteering with the PTA, Saddleback Valley YMCA, Junior Achievement of Orange County, business mentoring, community workshops and coaching youth athletics including Little League, AYSO and the U.S. Tennis Association (USTA). Mr. Jemal currently serves as the Board of Directors of the recently-formed nonprofit More Foundation, which sponsors startup competitions in cooperation with universities that team students and mentors in the commercialization of existing intellectual property. Previously, he served as a member of the Dean’s Advisory Board for the University of California, Irvine Henry Samueli School of Engineering. Mr. Jemal is the founder and President of Jemal Public Affairs, an Orange County-based public relations and business development firm. He established the corporation in 2007 and continues to lead the well-respected firm. Previously, he served as the Executive Director of the American Electronics Association (AeA) of Orange County, representing all segments of the local technology industry. Mr. Jemal saw first-hand the critical role our community colleges play in providing students with technical and certificate programs employers require to compete globally. At AeA, he launched the Innovation in Education Awards, an annual event recognizing students and educational leaders throughout Orange County for their innovative uses of science, math and technology in the classroom and community. Mr. Jemal’s previous experience includes teaching Business Administration and Communications courses at the University of California-affiliated American University of Armenia. Mr. Jemal earned a Bachelor of Arts degree in International Relations from Michigan State University and a Master’s degree in International Business from The George Washington University. He also attended Lansing Community College in the state of Michigan. 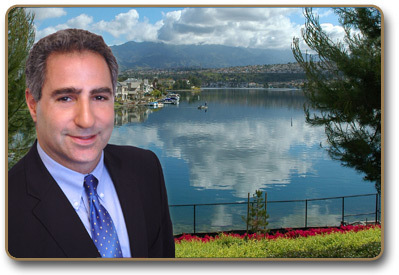 Mr. Jemal lives in Mission Viejo with his wife, Gassia Apkarian, and their two children. He can be contacted at tjemal@socccd.edu.